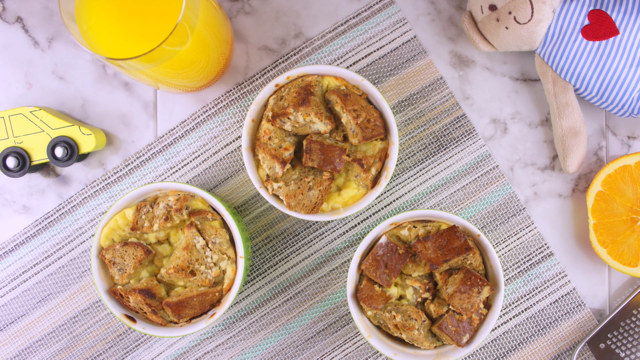 This recipe for individual mini orange-maple French toast cups is a great way to have the kids eating their breakfasts and incorporating some hearty rye in their diet! These can also be made ahead and kept in the freezer for those busy week day mornings! Switch up the fruits and flavours for more variety or you can even throw in some mini chocolate chips to make them extra yummy! 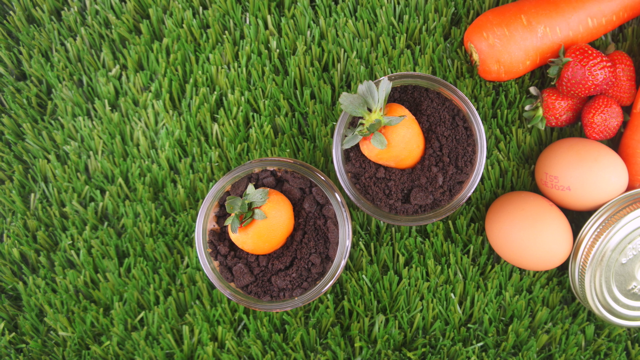 With Easter around the corner, serve up a carrot patch of chocolate mousse cups on a platter! These cute individual mousse cups are decorated like carrots growing in the ground – fun to eat and even easier to put together with the kids! 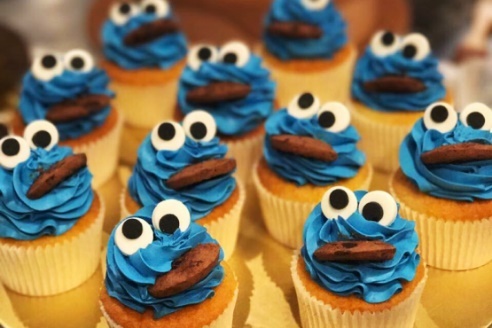 And best of all, they require no baking at all! 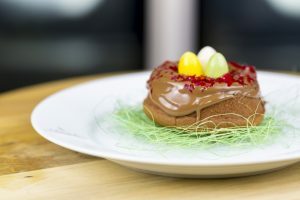 Brilliant to make with little children over the holidays, these pretty little Easter nests are great fun to make with the kids and decorated with mini chocolate eggs. Make them this Easter! Love churros but don’t like the fact that they’re deep fried? 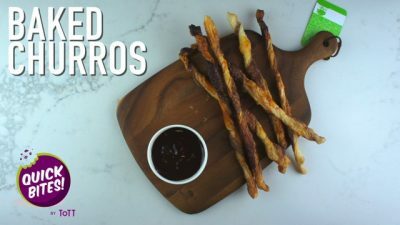 Try these baked churro twists! Have fun with the kids twisting the puff pastry into different shapes, lengths and patterns! You won’t be able to resist dunking these sweet, crispy pastry strips into a luscious chocolate sauce once they’re baked! 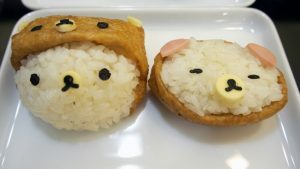 These adorable Rilakkuma sushi are almost too cute to eat! Roll up your sleeves and prepare these lovely sushi bears with the kids and add in your favourite toppings – think tuna, chopped tamago and more! 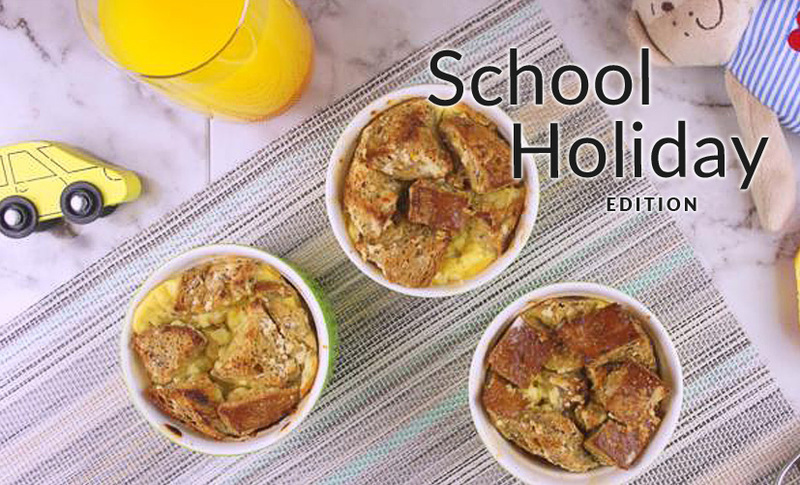 Hungry for even more delicious recipes to learn with your kids? Sign up for upcoming ToTT Junior Chef classes! With more than 10 classes coming your way this March, you’ll be spoilt for choice! Choose from adorable Pikachu Bento sets, Handmade Gyoza, Mini Donut Pops and more, all under the guidance of our ToTT Chef Instructors!